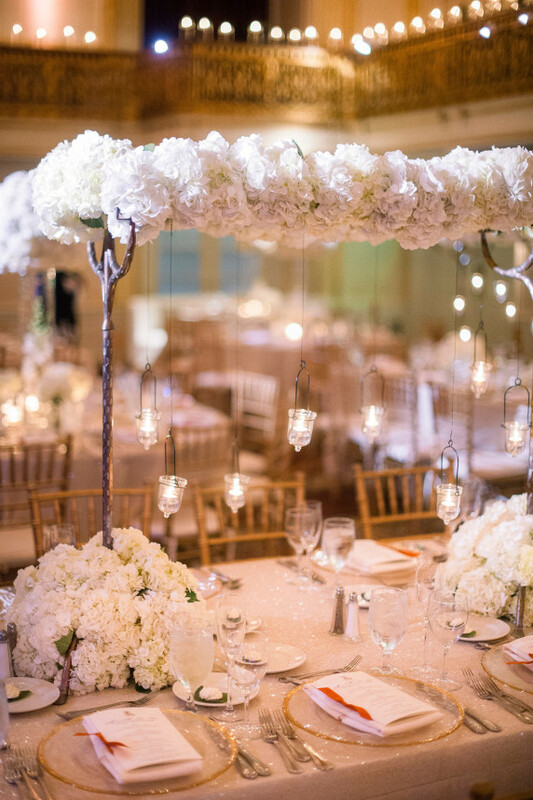 We are loving the fresh, all-white floral centerpieces for this Pennsylvania wedding. With a sprinkle of gold here and there, this wedding is all about clean, crisp details. The Omni William Penn provided a grand wedding setting for an elegant vibe that The Event Group helped the bride and groom achieve for their special day, and Tim Will Photo captured all the precious moments of this beautiful Pennsylvania wedding.